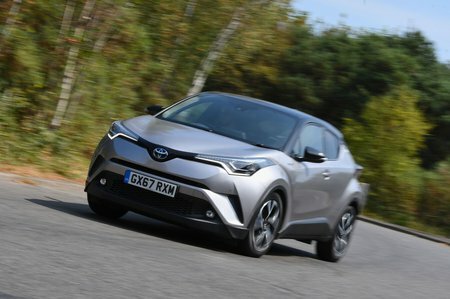 Toyota C-HR 1.2T Dynamic 5dr [JBL] 2019 Review | What Car? Comfortable, fun, generously equipped and the hybrid version makes lots of sense for company car drivers. Shame it isn’t cheaper and bigger in the back, and the C-HR also has one of the worst infotainment systems in the class. If you're a company car driver, go for the Hybrid version, but private buyers should also consider the cheaper, sweeter-driving 1.2 petrol. The cheaper 1.2 petrol version has less power than the Hybrid but also weighs less, so is actually slightly faster. Performance is roughly on a par with its key rivals, including the Ateca 1.0 TSI and Skoda Karoq 1.0 TSI. Put simply, it's adequate but nothing more than that.